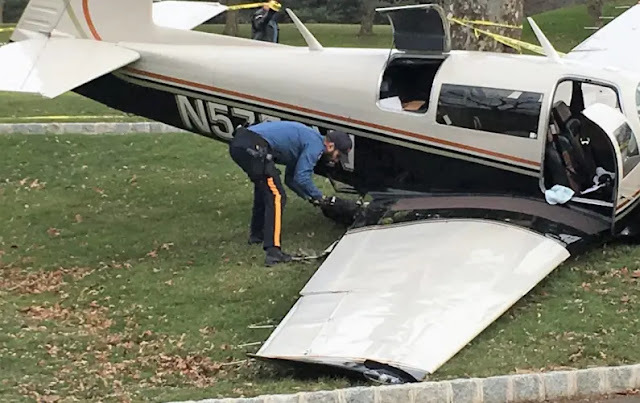 On December 9, 2018, about 1215 eastern standard time, a Mooney M20K, N5756W, was substantially damaged during a forced landing near Paramus, New Jersey. 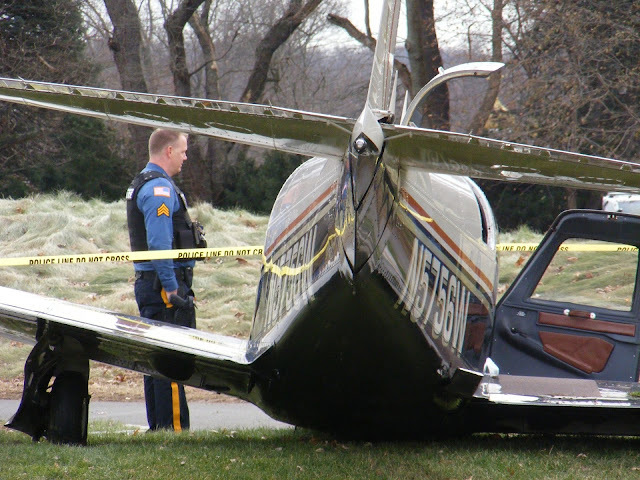 The private pilot and a passenger received minor injuries, and two other passengers were not injured. Visual meteorological conditions prevailed, and no flight plan was filed for the cross country flight, which originated from Lincoln Park Airport (N07), Lincoln Park, New Jersey, around 1200. The personal flight was conducted under the provisions of Title 14 Code of Federal Regulations Part 91 and had an intended destination of Hudson Valley Regional Airport (POU), Poughkeepsie, New York. According to the pilot, while in cruise flight, he noticed an increase in cylinder head temperature on two cylinders. He attempted to reduce the temperatures, however, he soon heard "an explosion," and noted a hole in the engine cowling. 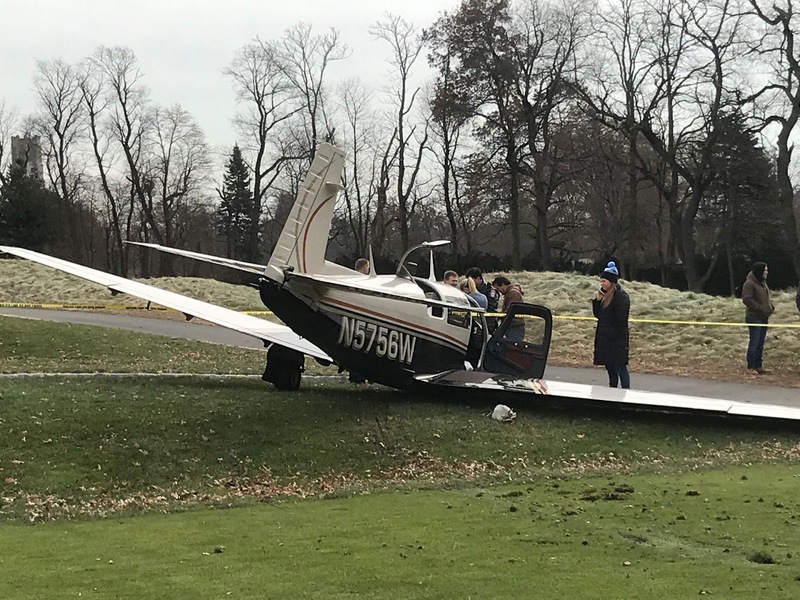 The pilot performed a forced landing to a golf course and during the landing roll, the airplane impacted a berm, became airborne again, and struck the ground resulting in the landing gear collapsing and substantial damage to the right wing. According to Federal Aviation Administration records, the airplane was manufactured in 1984 and was registered to the pilot in November 2017. It was equipped with a Continental Motors Inc. TSIO-360-LB1, a 210-hp, engine. According to the airframe maintenance logbook, the most recent annual inspection was performed on August 15, 2018, at a total time of 2,401.3 hours. According to the engine logbook, the engine was overhauled on January 11, 2016, at a tachometer time of 2,185 hours. The engine was retained for further examination.